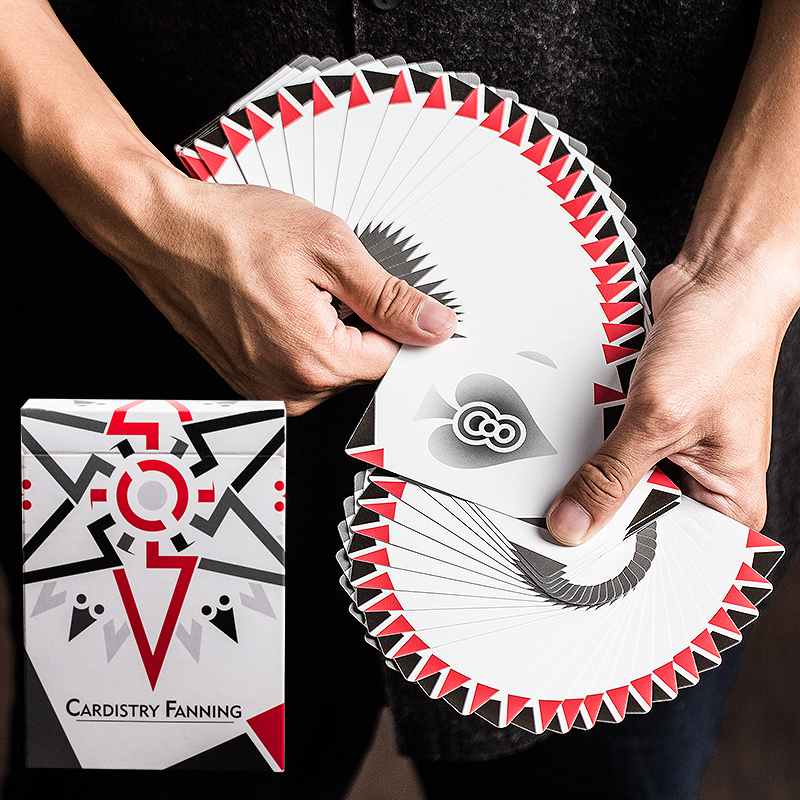 Cardistry Fanning Playing Card is the functional deck and it can offer stunning visual effect when you do the fanning .This white edition is the second edition of this series . The design is simple but covers deep implication. Each back has a special six-pointed star comprised of lines. Every star is composed of white, red, and gray to add strong visuals when you are fanning. The highlight of the design is that different fanning directions will have different visual results . This is just like in life -- a tiny choice will affect different directions that our lives will take. We believe that owning and using this deck will be a wise choice in your life! Your shows will be visually stunning and will have more impact than using only a regular deck of cards. Powerful in its simplicity and unparalleled in its design, Cardistry Fanning Playing Cards open an essential key to unlocking your higher level of cardistry. • The cards are poker size. Αυτό το προϊόν προστέθηκε στον κατάλογό μας την Thursday 11 January, 2018.